More than 2,400 institutions, hospitals, and academic medical centers trust Advarra® to ensure compliant research conduct. Advarra’s people, processes and platform provide transparency into projects. This gives you greater control and the ability to monitor what’s happening across all studies — no matter the location — at your institution in real time. Advarra can serve as your external support and compliance partner for everything from single investigational sites to multiple site research consortia and therapeutic networks. Above all, you can trust Advarra to provide high-integrity review and feedback regardless of project size, scope or complexity. Advarra provides standard and rush review services to help you meet demanding schedules. As your partner, Advarra is committed to getting your studies started on time and helping you reach critical decisions quickly. Advarra works with each institution to ensure that institutional policies and other local concerns are appropriately addressed, including development of institution-specific informed consent text and collaboration with local research office requirements. An experienced point of contact is always available to assist with inquiries regarding studies under Advarra oversight. Advarra offers extensive expertise across all major therapeutic areas, and continues to pioneer highly specialized review services for areas such as oncology and neurology. Across all major and niche therapeutic areas, throughout every stage of research, Advarra provides expert-led IRB services. Advarra can provide support for academic medical centers, colleges, universities, hospital systems, community hospitals, nursing facilities and other centers that may or may not have local IRBs. Advarra can also serve as an institution’s IRB where there is not a local IRB with jurisdiction or where the local IRB defers jurisdiction in writing to Advarra. Advarra also offers a variety of customizable training options for investigators and research support staff. Moreover, Advarra’s utmost focus is on review quality. 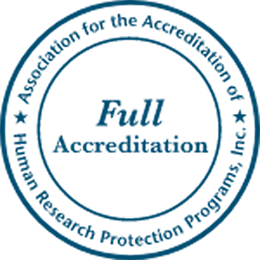 An expert team works with each institution to make sure human subject protection issues are considered appropriately, and that proper levels of subject matter expertise are dedicated to study reviews. Spend less time on paperwork. Increase visibility into your research with a robust, Part 11 compliant electronic system. Expand and support your research programs in new ways. With Advarra’s expert-led solutions, IRB-Ready® approach and powerful IRB platform, your investigative team can conduct research with greater efficiency and security. The Advarra CIRBI Platform, a paperless, cloud-based IRB submission and review system, will enable you to create shared workspaces with customizable settings for relevant stakeholders in your institution, supporting efficiencies across your entire research enterprise.